Here is the most powerful teaching in Scripture about the meaning of love. The love that God commands of His people is love so great that it even embraces enemies. The scribes and Pharisees were proud, prejudiced, judgmental, spiteful, hateful, vengeful men who masqueraded as the custodians of God’s law and the spiritual leaders of Israel. To them, Jesus’ command to love your enemies must have seemed naive and foolish in the extreme. They not only felt they had the right but the duty to hate their enemies. Not to hate those who obviously deserve to be hated would be a breach of righteousness. Jesus again sets His divine standard against the perverted human standards of that heretical Jewish tradition and reinforces it with the emphatic I. In Greek verbs a pronominal suffix indicates the subject, as here with lēgo (I say), and the separate pronoun I would not have been necessary had Jesus intended simply to give information. As we have noted, the Old Testament concept of neighbor included even personal enemies. That is the truth Jesus expands in the parable of the Good Samaritan. The point of the parable is not primarily to answer the lawyer’s question, “﻿And who is my neighbor?﻿” though it does that, but to show that Gods’ requirement is for us to be neighbors to anyone who needs our help (﻿Luke 10:29﻿, ﻿36–37﻿). The human tendency is to base love on the desirability of the object of our love. We love people who are attractive, hobbies that are enjoyable, a house or a car because it looks nice and pleases us, and so on. But true love is need-oriented. The Good Samaritan demonstrated great love because he sacrificed his own convenience, safety, and resources to meet another’s desperate need. The Greek language has four different terms that are usually translated “﻿love.﻿” Philia is brotherly love and the love of friendship; storgē is the love of family; and erōs is desiring, romantic, sexual love. But the love of which Jesus speaks here, and which is most spoken of in the New Testament, is agapē, the love that seeks and works to meet another’s highest welfare. Agapē love may involve emotion but it must involve action. In Paul’s beautiful and powerful treatise on love in ﻿1 Corinthians 13﻿, all fifteen of the characteristics of love are given in verb form. Obviously love must involve attitude, because, like every form of righteousness, it begins in the heart. But it is best described and best testified by what it does. Above all, agapē love is the love that God is, that God demonstrates, and that God gives (﻿1 John 4:7–10﻿). “﻿The love of God has been poured out within our hearts through the Holy Spirit who was given to us. … [and] God demonstrates His own love toward us, in that while we were yet sinners, Christ died for us“﻿ (﻿Rom. 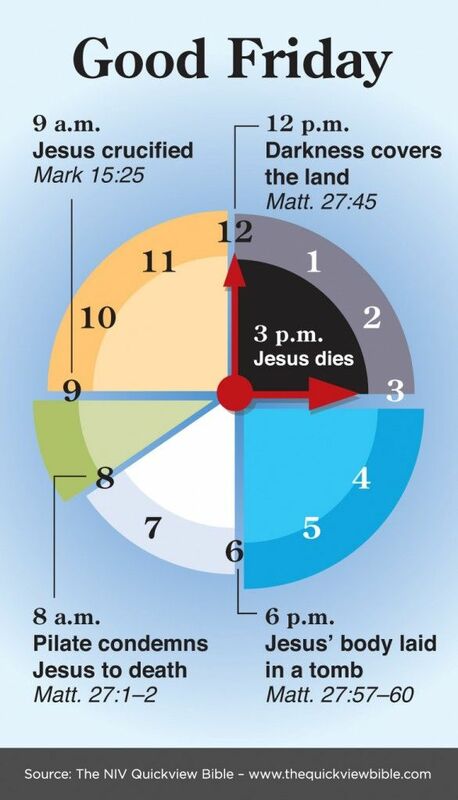 5:5﻿, ﻿8﻿). Because of His love, we can love, and “﻿if we love one another, God abides in us, and His love is perfected in us﻿” (﻿1 John 4:11–12﻿). When Jesus told the disciples, “﻿A new commandment I give to you, that you love one another, even as I have loved you﻿” (﻿John 13:34﻿), He had just finished washing their feet as an example of humble, self-giving love. The disciples had done nothing to inspire Jesus’ love. They were self-centered, quarrelsome, jealous of each other, and sometimes even argued with and contradicted the One whom they confessed to be their God, Savior, and Lord. Yet everything that Jesus said to them and did for them was completely and without exception for their good. That was the kind of love He commanded them to have for Him and for each other. And that is the kind of love He commands all of His followers to have even for their enemies. Love’s question is never who to love-because we are to love everyone-but only how to love most helpfully. We are not to love merely in terms of feeling but in terms of service. God’s love embraces the entire world (﻿John 3:16﻿), and He loved each of us even while we were still sinners and His enemies (﻿Rom. 5:8–10﻿). Those who refuse to trust in God are His enemies; but He is not theirs. In the same way, we are not to be enemies of those who may be enemies to us. From their perspective, we are their enemies; but from our perspective, they should be our neighbors. In 1567 King Philip II of Spain appointed the Duke of Alba as governor of the lower part of the nation. The Duke was a bitter enemy of the newly-emerging Protestant Reformation. His rule was called the reign of terror, and his council was called the Bloody Council, because it had ordered the slaughter of so many Protestants. It is reported that one man who was sentenced to die for his biblical faith managed to escape during the dead of winter. As he was being pursued by a lone soldier, the man came to a lake whose ice was thin and cracking. Somehow he managed to get safely across the ice, but as soon as he reached the other side he heard his pursuer screaming. The soldier had fallen through the ice and was about to drown. At the risk of being captured, tortured, and eventually killed-or of being drowned himself-the man went back across the lake and rescued his enemy, because the love of Christ constrained him to do it. He knew he had no other choice if he was to be faithful to His Lord (Elon Foster, New Cyclopedia of Prose Illustrations: Second Series [New York: T. Y. Crowell, 1877], ﻿p.﻿ 296). The Scottish Reformer George Wishart, a contemporary and friend of John Knox, was sentenced to die as a heretic. Because the executioner knew of Wishart’s selfless ministering to hundreds of people who were dying of the plague, he hesitated carrying out the sentence. When Wishart saw the expression of remorse on the executioner’s face, he went over and kissed him on the cheek, saying, “﻿Sir, may that be a token that I forgive you﻿” (John Foxe, Foxe’s Book of Martyrs, ﻿ed.﻿ W Grinton Berry [Grand Rapids: Baker, 1978], ﻿p.﻿ 252). Our “﻿enemies,﻿” of course, do not always come in such life-threatening forms. Often they are ordinary people who are mean, impatient, judgmental, self-righteous, and spiteful-or just happen to disagree with us. In whatever personal relationships we have, God wants us to love. Whether a conflict is with our marriage partner, our children or parents, our friends and fellow church members, a devious business opponent, spiteful neighbor, political foe, or social antagonist, our attitude toward them should be one of prayerful love. All men live with some sense of sin and guilt. And guilt produces fear, which in its ultimate form is fear of death and of what is beyond death. In various ways, therefore, most people have devised religious beliefs, rituals, and practices they are convinced will offer them some relief from guilt and judgment. Some people try to get rid of guilt simply by denying it or by denying the existence of a God who holds men accountable for sin. Throughout history the worst persecutions have been religious. They have been the strongest against God’s people, because the divine standards He has given to them and which are seen in them are a judgment on the wickedness and corruption of false religion. God’s Word unmasks people at their most sensitive and vulnerable point, the point of their self-justification-whether that justification is religious, philosophical, or even atheistic. Because persecution is so often the world’s response to God’s truth, the Lord assures us that, just as He was persecuted, so will we be (﻿John 15:20﻿). Therefore His command for us to pray for our persecutors is a command that every faithful believer may in some way have opportunity to obey. It is not reserved for believers who happen to live in pagan or atheistic lands where Christianity is forbidden or severely restricted. Jesus taught that every disciple who makes his faith known is going to pay some price for it, and that we are to pray for those who exact that price from us. Spurgeon said, “﻿Prayer is the forerunner of mercy,﻿” and that is perhaps the reason why Jesus mentions prayer here. Loving enemies is not natural to men and is sometimes difficult even for those who belong to God and have His love within them. The best way to have the right attitude, the agapē love attitude, toward those who persecute us is to bring them before the Lord in prayer. We may sense their wickedness, their unfairness, their ungodliness, and their hatred for us, and in light of those things we could not possibly love them for what they are. We must love them because of who they are-sinners fallen from the image of God and in need of God’s forgiveness and grace, just as we were sinners in need of His forgiveness and grace before He saved us. We are to pray for them that they will, as we have done, seek His forgiveness and grace. 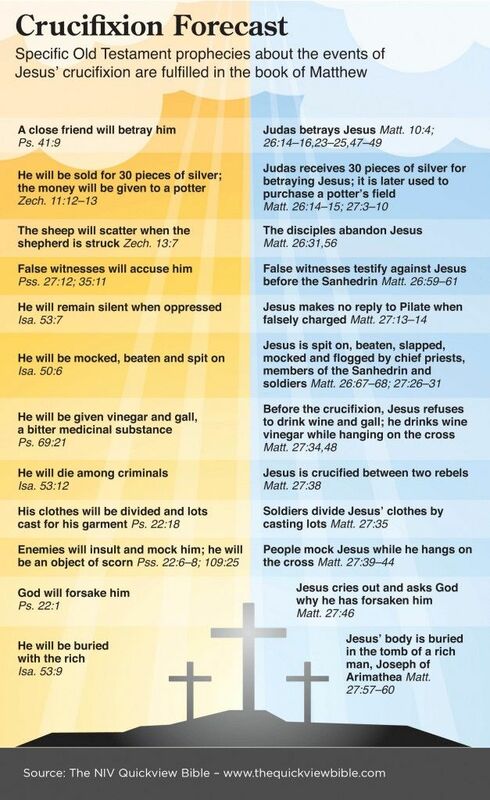 Our persecutors may not always be unbelievers. Christians can cause other Christians great trouble, and the first step toward healing those broken relationships is also prayer. Whoever persecutes us, in whatever way and in whatever degree, should be on our prayer list. Talking to God about others can begin to knit the petitioner’s heart with the heart of God. Chrysostom said that prayer is the very highest summit of self-control and that we have most brought our lives into conformity to God’s standards when we can pray for our persecutors. 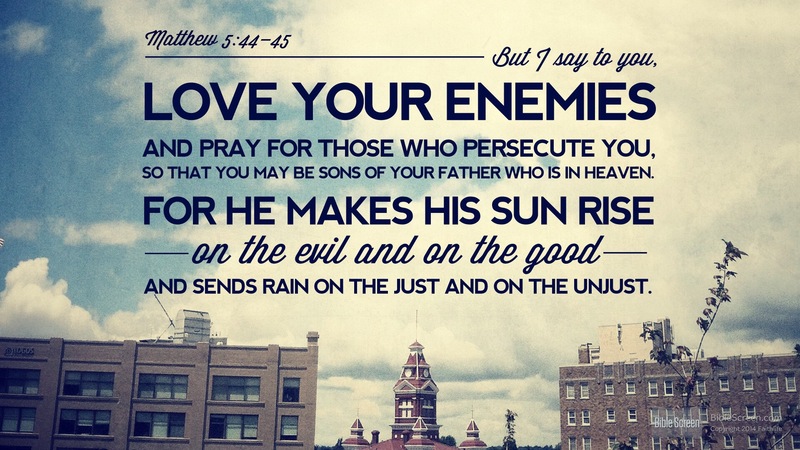 Dietrich Bonhoeffer, the pastor who suffered and eventually was killed in Nazi Germany, wrote of Jesus’ teaching in ﻿Matthew 5:44﻿, “﻿This is the supreme demand. Through the medium of prayer we go to our enemy, stand by his side, and plead for him to God﻿” (The Cost of Discipleship, ﻿trans.﻿ R. H. Fuller [2d rev. ﻿ed.﻿; New York: Macmillan, 1960], ﻿p.﻿ 166). To love our enemies and to pray for our persecutors shows that we are sons of [our] Father who is in heaven. The aorist tense of genēsthe (may be) indicates a once and for all established fact. God Himself is love, and the greatest evidence of our divine sonship through Jesus Christ is our love. “﻿By this all men will know that you are My disciples, if you have love for one another﻿” (﻿John 13:35﻿). “﻿God is love, and the one who abides in love abides in God, and God abides in him﻿” (﻿1 John 4:16﻿). In fact, “﻿If someone says, ‘﻿I love God,﻿’ and hates his brother, he is a liar; for the one who does not love his brother whom he has seen, cannot love God whom he has not seen﻿” (﻿v.﻿ ﻿20﻿). Loving as God loves does not make us sons of the Father, but gives evidence that we already are His children. When a life reflects God’s nature it proves that life now possesses His nature by the new birth. One of the commonest and most damaging criticisms of Christianity is the charge that Christians do not live up to their faith. Even though the world has a limited and often distorted idea of what the gospel is, they know enough about the teachings of Christ and the life of Christ to realize that most people who go by His name do not do all that He commanded and do not live as He lived. But even a person who has never heard of Christ or the teachings of the New Testament would suspect there is divine power behind a life that loves and cares even to the point of loving enemies-simply because such a life is so utterly uncharacteristic of human nature. A life of self-giving love gives evidence of sonship of the Father who is in heaven. That phrase emphasizes the heavenly realm in which the Lord dwells, the realm that is the source of this kind of love. Those who are God’s children should show impartial love and care similar to what God shows. He causes His sun to rise on the evil and the good, and sends rain on the righteous and the unrighteous. Those blessings are given without respect to merit or deserving. If they were, no one would receive them. In what theologians traditionally have called common grace, God is indiscriminate in His benevolence. His divine love and providence in some forms benefit everyone, even those who rebel against Him or deny His existence. An old rabbinic saying tells of the drowning of the Egyptians in the Red Sea. As the story goes, when the Egyptians were destroyed the angels began to rejoice; but God lifted up His hand and said, “﻿The work of My hands are sunk in the sea and you would sing?﻿” (William Barclay, The Gospel of Matthew, 2 ﻿vols.﻿ [rev. ﻿ed.﻿; Philadelphia: Westminster, 1975], 1:176). “﻿The eyes of all look to Thee, and Thou dost give them their food in due time,﻿” the psalmist testifies. “﻿Thou dost open Thy hand, and dost satisfy the desire of every living thing﻿” (﻿Ps. 145:15–16﻿). There is no good thing-physical, intellectual, emotional, moral, spiritual, or of any other sort-that anyone possesses or experiences that does not come from the hand of God. If God does that for everyone, His children should reflect that same generosity. This entry was posted in Daily Devotional Guide, Verse of the day on February 23, 2017 by Truth2Freedom. Whatever you ask in My name, that I will do,that the Father may be glorified in the Son. God hates sin and will judge unrepentant sinners. We now come to a topic that is perhaps unpleasant to discuss, but it is essential if we are to have a right understanding of God: His wrath. The idea of a wrathful God goes against the wishful thinking of fallen human nature. Even much evangelism today speaks only of the joys and blessings of salvation without mentioning that those who are without God are under His wrath (Eph. 2:3). God’s attributes are balanced in divine perfection. If He had no righteous anger, He would not be God, just as He would not be God without His gracious love. He perfectly loves righteousness and perfectly hates evil (Ps. 45:7). But God’s wrath isn’t like ours. The Greek word used for God’s wrath in the New Testament refers to a settled, determined indignation. God does not “fly off the handle,” whereas we tend to be emotional and uncontrolled in our anger. Many times God expressed His wrath to sinful mankind in past ages. He destroyed all mankind except Noah and his family in the great Flood (Gen. 6–7). He destroyed Sodom and Gomorrah for their sins (Gen. 18–19). The Lord told unfaithful Israel, “Behold, My anger and My wrath will be poured out on this place, on man and on beast and on the trees of the field and on the fruit of the ground; and it will burn and not be quenched” (Jer. 7:20). Some people today foolishly think the God of the Old Testament was a God of wrath and the New Testament God was a God of love, but His wrath is just as clearly taught in the New Testament. Jesus says, “He who believes in the Son has eternal life; but he who does not obey the Son shall not see life, but the wrath of God abides on him” (John 3:36). 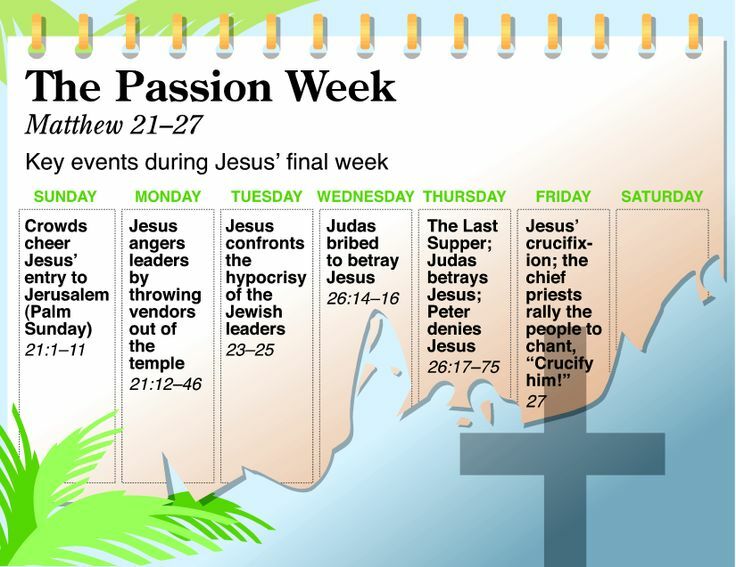 In the end–times Jesus will return “dealing out retribution to those who do not know God and to those who do not obey the gospel of our Lord Jesus” (2 Thess. 1:8). God is the same God, and He will always hate sin. Suggestions for Prayer: Praise God for His righteous hatred of sin. For Further Study: Read more about God’s wrath in Romans 1:18–2:16. What specifically causes His wrath? ✧ How does He display His wrath to the unrighteous? I am positively sure after many years of observation and prayer that the basis of all of our trouble today, in religious circles, is that our God is too small. When he says magnify the Lord, he doesn’t mean that you are to make God big, but you are to see Him big. When we take a telescope and look at a star, we don’t make the star bigger, we only see it big. Likewise you cannot make God bigger, but you are only to see Him bigger…. “Inherit” denotes the receiving of one’s allotted portion and correlates perfectly with Psalm 37:11—“the humble will inherit the land.” We sometimes wonder why the godless seem to prosper while the godly suffer, but God assures us that He will ultimately make things right (cf. Ps. 37:10). We must trust the Lord and obey His will in these matters. He will settle everything in the right way at the right time. Meanwhile, we can trust His promise that we, as those who are gentle, will inherit the earth. This promise also reminds us that our place in Christ’s kingdom is forever secure (cf. 1 Cor. 3:21–23). Yes, it often seems as though everyone “inherits the earth” but us mild-mannered believers. But what truly makes life enjoyable on the earth? And why do the curt and the coarsest among us not really get to experience its simple pleasures? When we study the New Testament record, we see plainly that Christ’s conflict was with the theological rationalists of His day. John’s gospel record is actually a long, inspired, passionately outpoured account trying to save us from evangelical rationalism—the doctrine that says the text is enough. Divine revelation is the ground upon which we stand. The Bible is the book of God, and I stand for it with all my heart; but before I can be saved, there must be illumination, penitence, renewal, inward deliverance. In our Christendom, we have tried to ease many people into the kingdom but they have never been renewed within their own beings. The Apostle Paul told the Corinthians that their faith should not stand in the wisdom of men, but in the power of God! There is a difference. We must insist that conversion to Christ is a miraculous act of God by the Holy Spirit—it must be wrought in the Spirit. There must be an inward illumination! Lord, I pray for my family, neighbors, and friends who do not yet know You. Illumine their hearts and minds by Your Holy Spirit. “… to the glory and praise of God” (Phil. 1:11). Paul’s prayer in Philippians 1:9–11 closes with a reminder that love, excellence, integrity, and righteousness bring glory and praise to God. God’s glory is a recurring theme in Paul’s writings, and rightly so, because that is the Christian’s highest priority. But what is God’s glory, and what does it mean to bring Him glory? After all, He is infinitely glorious in nature, so we can’t add anything to Him. And His glory can never be diminished, so it doesn’t have to be replenished or bolstered. In Exodus 33:18–19 Moses says to God, “‘I pray Thee, show me Thy glory!’ And [God] said, ‘I Myself will make all My goodness pass before you, and will proclaim the name of the Lord before you; and I will be gracious to whom I will be gracious, and will show compassion on whom I will show compassion.’” In effect God was telling Moses that His glory is the composite of His attributes. That suggests you can glorify God by placing His attributes on display in your life. When others see godly characteristics such as love, mercy, patience, and kindness in you, they have a better picture of what God is like. That honors Him. That’s why it’s so important to guard your attitudes and actions. Paul admonished Timothy to be exemplary in his “speech, conduct, love, faith, and purity” (1 Tim. 4:12). That should be true of every believer! Another way to glorify God is to praise Him. David said, “Ascribe to the Lord, O sons of the mighty, ascribe to the Lord glory and strength. Ascribe to the Lord the glory due to His name; worship the Lord in holy array. … In His temple everything says, ‘Glory!’” (Ps. 29:1–2, 9). Suggestions for Prayer: In 1 Chronicles 16:8–36 David instructs Asaph and Asaph’s relatives on how to glorify God. Using that passage as a model, spend time in prayer glorifying God. For Further Study: Reread 1 Chronicles 16:8–36, noting any specific instructions that apply to you. …Whosoever will be great among you, let him be your minister; And whosoever will be chief among you, let him be your servant. The essence of Christ’s teaching concerning greatness was this: true greatness among humans must be found in character, not in ability or position. While a few philosophers and religionists of pre-Christian times had noted the fallacy in man’s ideas of dominion and status, it was Christ who defined and demonstrated true greatness. “Let him be your minister: let him be your servant.” It is that simple and that easy—and that difficult! We have but to follow Christ in service to the human race, a selfless service that seeks only to serve, and greatness will be ours! That is all, but it is too much, for it runs counter to all that is Adam in us. Adam still feels the instinct for dominion; he hears deep within him the command, “Replenish the earth and subdue it.” Therefore he does not take kindly to the command to serve! Sin must go and Adam must give way to Christ: so says our Lord in effect. By sin men have lost dominion, even their very right to it, until they win it back by humble service. Though redeemed from death and hell by the vicarious labor of Christ on the cross, still the right to have dominion must be won by each man separately. Each must fulfill a long apprenticeship as a servant before he is fit to rule. After Christ had served (and His service included death) God highly exalted Him and gave Him a name above every name. As a man He served and won His right to have dominion. He knew where true greatness lay—and we do not. MacArthur, J. (2001). Truth for today : a daily touch of God’s grace (p. 66). Nashville, Tenn.: J. Countryman. MacArthur, J. (2008). Daily readings from the life of Christ (p. 62). Chicago: Moody Publishers. MacArthur, J. F., Jr. (1993). Drawing Near—Daily Readings for a Deeper Faith (p. 66). Wheaton, IL: Crossway Books. This entry was posted in Daily Devotional Guide on February 23, 2017 by Truth2Freedom.